Should you be in need of a jersey please contact us at info@districtsports.com. All players in District Sports leagues should wear an official District Sports jersey in the exact color listed next to their team’s name on the schedule during games. 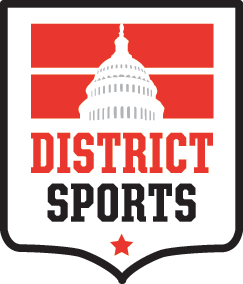 An “official District Sports jersey” is defined as “a jersey with a District Sports logo, or a custom jersey cleared by the league.” All registered league players are expected to obtain a District Sports jersey, or play in an approved custom jersey. It is up to the team captain to decide whether the jerseys are distributed individually, or brought as a set to each game. 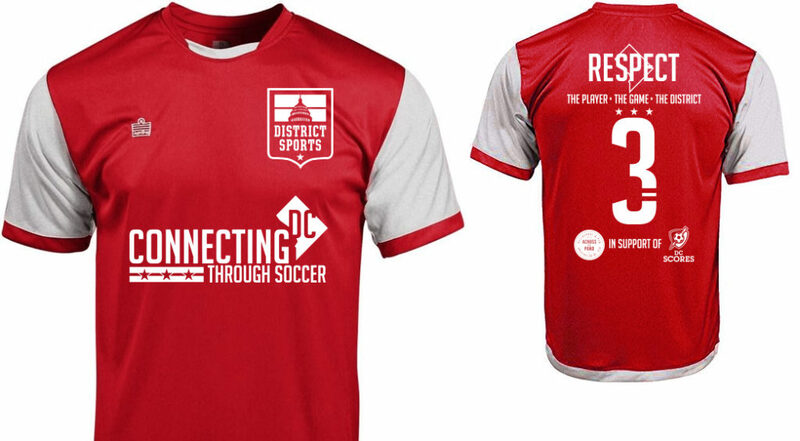 Teams playing with District Sports will be given a FREE set of jerseys once a year, in the Spring, or in the first season your team plays with our league. These jerseys are a free gift to your team. Their cost is not reflected in the price of registration. We recommend that captains hold on to the set of jerseys, unless your team has very, very little turnover; if you elect to distribute shirts to your players, be aware that you will not be given another set in the calendar year. DISTRICT SPORTS JERSEYS: If your team is new or had some turnover, this is the option for you! Order a new, free set of Admiral brand jerseys in the color of your choice, which will be delivered directly to your preferred address. Jerseys are distributed in a standard quantity per league type. The decision is on the captain to hold onto the shirts or distribute them amongst team members, given roster size and turnover. For teams carrying more players than the standard set provided, or needing more shirts during Summer, Fall or Winter, additional jerseys can be purchased during registration periods. If your team would like to provide its own jerseys, great! District Sports only requires that the shirts all match each other exactly, and have no profane/offensive language or images. A set of custom jerseys can be as simple as plain, colored t-shirts. To get a set of jerseys cleared with the league, simply email us a picture of what you’d like to wear and make sure you change the color listed next to your team’s name to match the color of your kits, if necessary. Teams using substitute players during the regular season are allowed to have a limited number of players not wearing District Sports jerseys. These substitutes will only be allowed to participate if they are wearing a solid color shirt in the EXACT same color as the District Sports jerseys worn by their teammates. Substitutes’ shirts must match exactly: No variations or different shades of colors will be accepted (ie Light Blue does not qualify as Royal Blue). Playing a Team With the Same Color? In games where teams will be wearing similar or the same colors, it is the responsibility of the team listed second on the schedule to change colors. The captain of the team changing colors should notify the referee at the beginning of the match the reason their squad is not wearing their listed color/official District Sports jerseys. Any player not complying by the above rules will may be excluded from a given match. Referees have the final say as to whether a player’s attire meets league standards.